Are you considering a home improvement project in order to sell your house? Before you recruit a contractor, you may want to do a little homework on the current housing market. Of course, we all want our home to have wonderful curb appeal to sell – and sell fast! But a little analysis can help you determine whether the renovation is worth your time and money. For starters, get an appraisal to understand what you can list your house for in the current market. Next, check comparables to understand the sale price of homes with similar features or upgrades in your area. 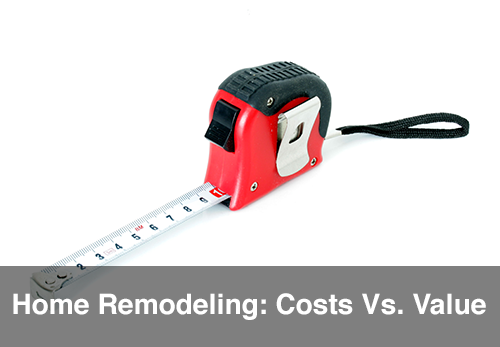 Experts say that across the board, remodeling costs have dropped 10-15% in the past few years. It may also be helpful to get two or three contractor quotes for your project. Also consider the length of time the renovation project could take and how that fits into your sale timeline. If your home is already priced at the high end of the price range, then remodeling may not yield a high enough sale price to make it worthwhile. But on the other hand, it may pay a handsome return in the future. It’s always good to think about your home form the future home buyer’s perspective.